Review: This product had a good amount of stuff for the price. My only comment is one of the books is for high wing airplane it be nice if they gave the option of high or low wing. Review: Pack had all the items that mentioned in the list with great quality! Review: Meets expectations at a reasonable cost. Contains all of the necessary materials to complete the training. Good pricing on the package. Pros: A little too soon to tell since I'm just begining, but a good collection of necessities at a good price. Review: I haven't had a chance to use everything in the kit yet, so I can't evaluate all of the items, but I did find the Gardner book a little difficult to understand at times. Things weren't always explained very well. I subsequently ordered the Jeppesen book, which I find to be much clearer. I use both books because Gardner sometimes has info that Jeppesen doesn't--and vice versa. 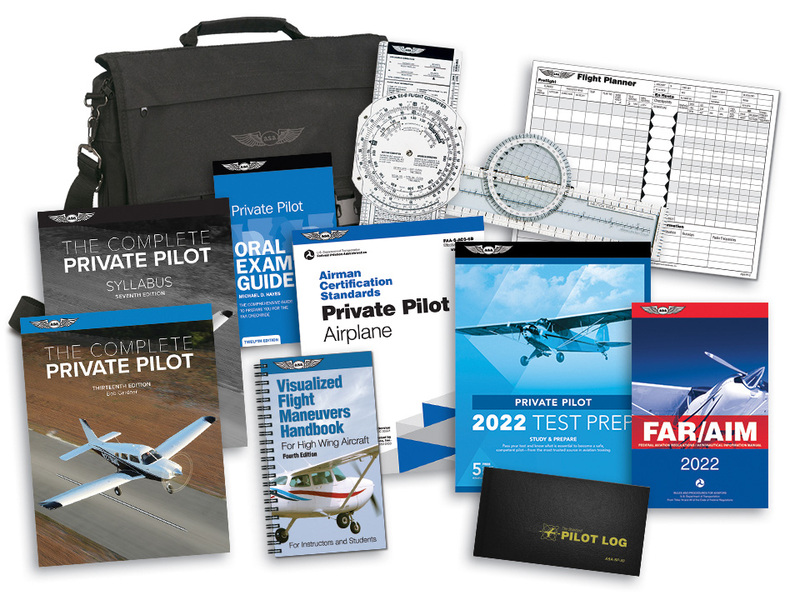 Review: Very complete kit if you are planning to piece meal your flight training. Alot of schools provide a kit if you throw down the total tuition right up front, I on the other hand am doing it 1 flight at a time so this kit is very helpful and a great price. It has everything you need to get your head wrapped around flying. The reading I did prior to my first flight helped me DO more on my first lesson rather than just sit and watch. Preparedness is the key, have an understanding before your lesson so you can better grasp what your CFI is talking about. Review: I can't be more satisfied with this product. It has had just about everything I have needed to study for the FAA written test. I am currently scoring 84% to 86% on most practice tests and have even had a couple 90% scores. This product has given me the confidence to know that I will pass the written when I take it. Review: The text is good, the additional supplemental information is very good. The text does not seem to follow a more refined textbook approach similar to that in academia. This would be my only complaint. There are words in bold print without definitions in the text, etc. Overall, not bad though. The price is also nice. Cons: As a beginning flight student, I found Gardner's explanations lacking sometimes. Q: Is this the 2019 version? A: This kit contains the most recent editions from ASA. Q: I was wondering what the weight of the whole kit is? I would like to get a shipping calculation and would like to know. A: This has a shipping weight of about 14lbs.